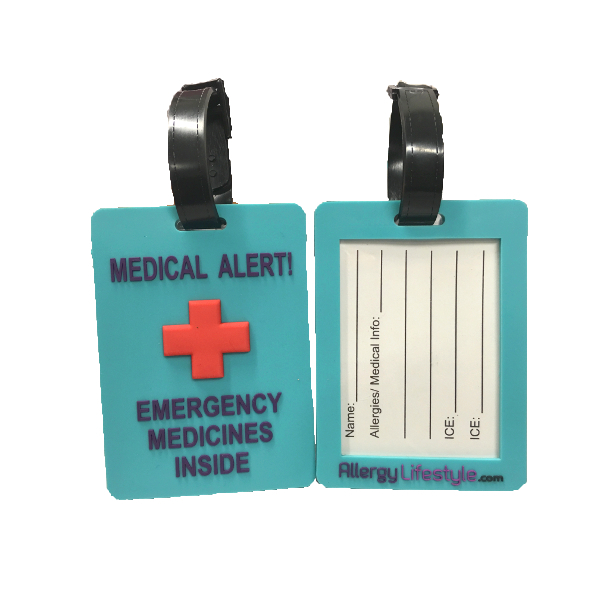 These high quality allergy tags let others know about your allergy/medical condition and the location of your emergency medicines. 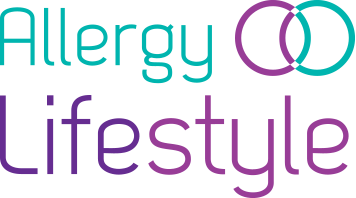 There is also space for: your name, a list of allergies/medical conditions and 2 ICE numbers on the ID card on the back. These high quality allergy tags let others know that you have an allergy/medical condition and that you carry an EpiPen®/emergency medicines. and 2 “In Case of Emergency” numbers. The tag can be attached to the bag that you keep your medicines in with a secure double fastening strap. 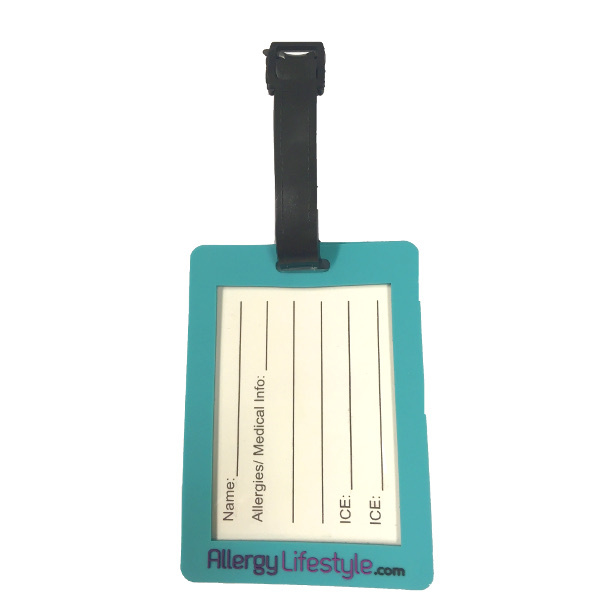 The allergy tags are styled like a luggage tag that you would keep on your suitcase while travelling. 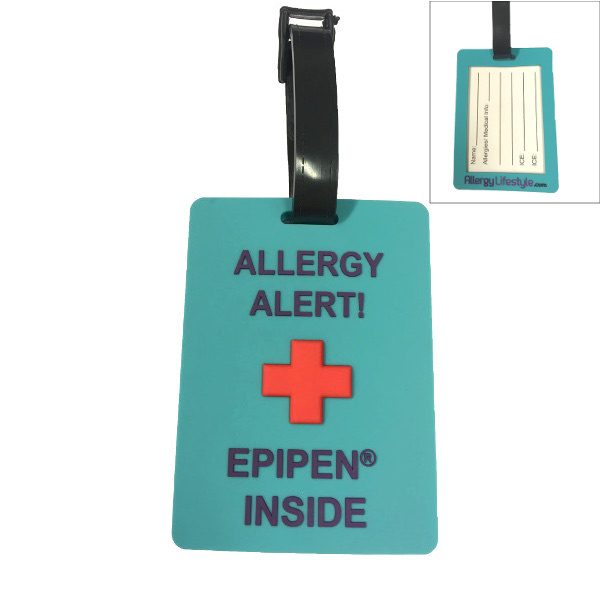 The allergy tags are made from PVC so they won’t break easily and are robust enough to withstand daily use. 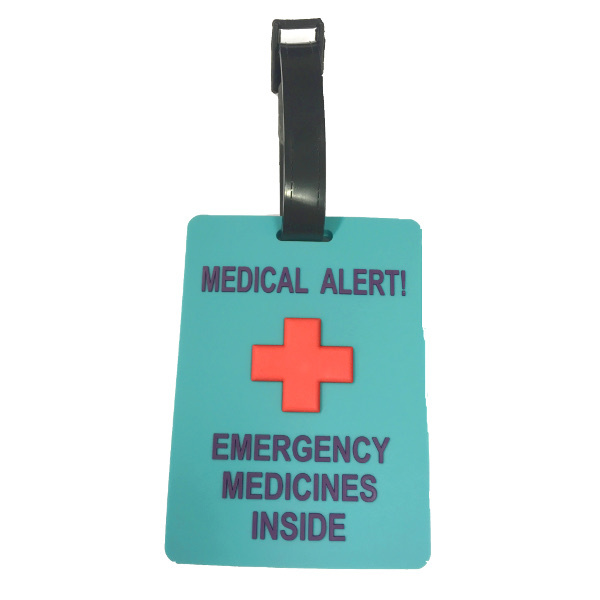 Hang one of our tags on your backpack, handbag or any other bag you may keep your medicines in to make sure their location is known in case of an emergency. Available in twin packs to save money. 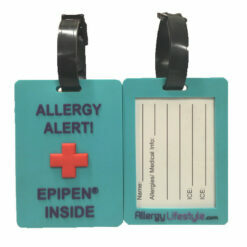 The front of the tag alerts others to your allergy or medical condition. 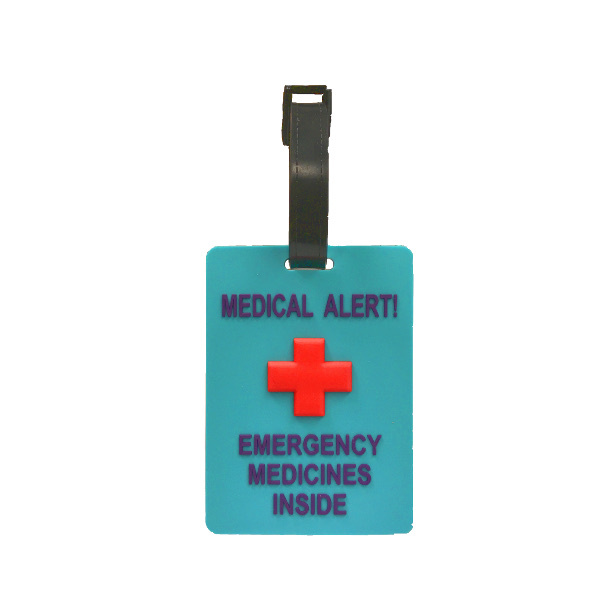 The back of the tag has an ID card for your medical info. Bright and colourful so it will be noticed.